9/11 Vancouver Hearings: Expert witness Dennis Cimino testifies on fraudulent flight data recorder (FDR) found at Pentagon — and the impossibility that Flight 175 struck the Pentagon. VANCOUVER, B.C. – The 9/11 Vancouver Tribunal met June 15-17, 2012 in Vancouver, B.C. Alfred Lambremont Webre, one of the Judges on the Tribunal states, “As a duly constituted citizen’s tribunal of conscience, the 9/11 Vancouver Tribunal has jurisdiction under natural law and justice; such as the U.N. Declaration of Human Rights; international humanitarian law such as the Geneva Conventions; and national and provincial criminal statues prohibiting murder and conspiracy for any jurisdiction whose citizens died in the World Trace Center on 9/11. The 9/11 Vancouver Tribunal was convened by a worldwide community of citizens June 15-17, 2012 and via streaming internet from diverse locations around the world including the United States, India, and elsewhere. 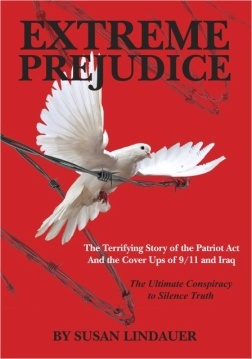 During the 9/11 Vancouver Hearings, 19 expert witnesses gave sworn testimony as to names, titles, and implicating evidence for individuals, each of whom acted acted as part of a common plan as a leading co-conspirator in the events of 9/11 and for whom they are aware of prima facie evidence that is sufficient to raise a presumption of fact. (My name should be on this list!) Enjoy!